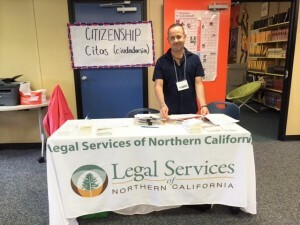 An immigration fair held Saturday in Orland, sponsored by nonprofit organizations including ChicoSol, served about 100 area residents by providing attorneys for consultations, seminars on Constitutional protections and access to community groups. Legal Services of Northern California assisted with citizenship applications. The Immigration Information Fair was held at Orland High School in order to provide information and resources to community members who may have become concerned about how the Trump administration’s policies will affect them. 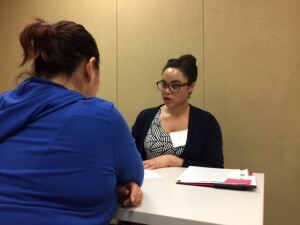 About 50 people who had made appointments in advance were able to consult with attorneys or law students at no cost. In meeting rooms, they filled out citizenship applications, discussed citizenship eligibility and learned from immigration attorneys about possible eligibility for residency and work programs. Fair participants attended know-your-rights sessions on Constitutional protections and visited the tables set up by a dozen community and governmental organizations. Migrant Education, Butte College and ChicoSol were a few of the organizations that tabled in order to provide information about their work and services. Attorney Denise Grady of Legal Services of Northern California assists Alfredo Oseguera of Orland with a citizenship application. Orland Unified School District Superintendent Ken Geisick said the district agreed to co-sponsor the event after parents who use the district’s Student & Family Resource Center recently began voicing concerns. Geisick said the partnerships that developed as a result will help the district meet needs of its students not related to immigration. Dozens of students from Orland High, Chico State and Butte College also participated in the event, providing child care, translating and other services. 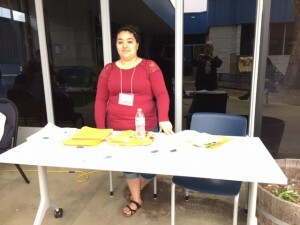 Orland High’s Maria Parra worked at the welcome table. One woman who attended a know-your-rights session was asked what she liked best about the afternoon. She said she learned about her rights. “Cuando vienen a tocar la puerta, lo que tienes que hacer,” she said. In other words, she learned what to do if immigration officials knock on her door. 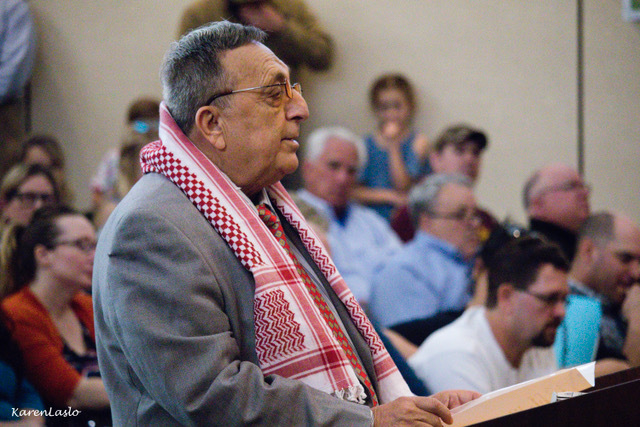 Miguel Ramos Aguirre, a representative of the Mexican consulate in Sacramento, spoke and tabled at the fair. He spoke with many Latino community members on Saturday about how they can obtain Mexican passports and Mexican citizenship for U.S.-born children. He provided fliers on maintaining dual citizenship. The consulate, he said, wants unauthorized immigrants to be prepared for the possibility they’ll face deportation proceedings, and some want to take their children with them if they’re returned to Mexico. “We want them to be prepared and talk about what they’ll do if they get deported,” Ramos Aguirre said. A consultation underway at the fair. Esther Rosario, a consultant to Orland Unified who helped open the Student & Family Resource Center, said an overwhelming community response to the event showed how much it was needed. 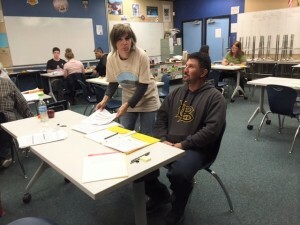 There were waiting lists for individual consultations with attorneys, inquiries from local businesses and referrals from other school districts, including Chico Unified. 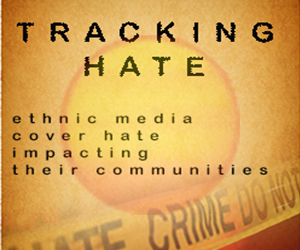 People traveled from Redding, Corning and other towns for the event. The caption on the photo of attorney Denise Grady was corrected on March 22. 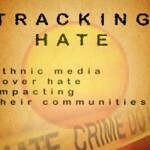 We apologize for originally misidentifying her organization. Kate Sheehy is outreach coordinator for ChicoSol.